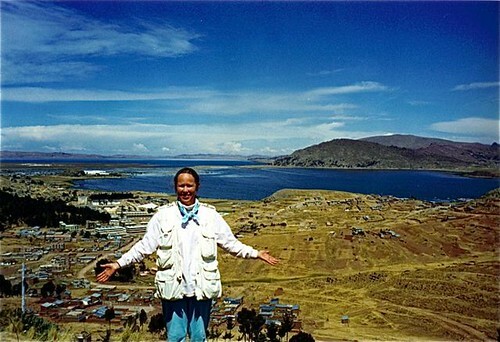 Tag Archive | "Lake Titicaca"
Ecuador shamans are not all that aware of the impact of seasons on health. 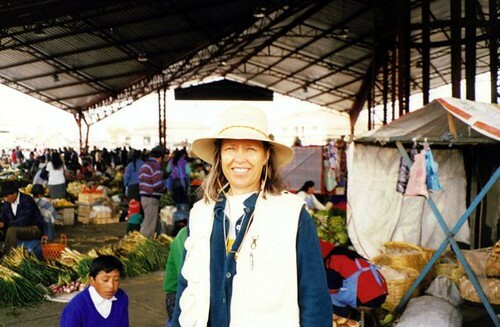 Candace Newman is an expert in essential oils has spend considerable time with us and the shamans and yatchaks in Ecuador. Here she is at the indigenous market checking spices and oils. 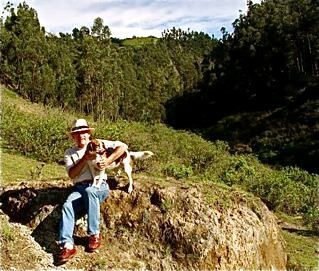 In Ecuador there are not seasons as we know it. Once an Ecuador shaman visited Merri and me in North Carolina during the winter. This was his first trip out of Ecuador and when he saw the trees, his eyes really opened. “They are all dead!” he exclaimed in horror. “No, just asleep” I told him. However, the shamans are very aware of differences in altitude, dryness and wetness and what these differences can mean to health. 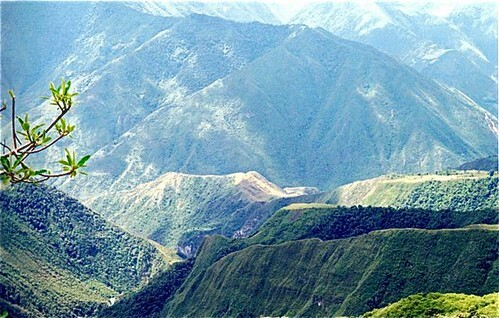 Ecuador has this all when it comes to lifestyles, mountains, valleys, deserts and rain forests. 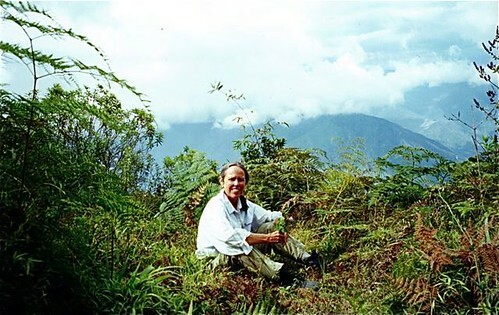 The biodiversity in Ecuador equals a range from the Arctic Circle to the Equator. 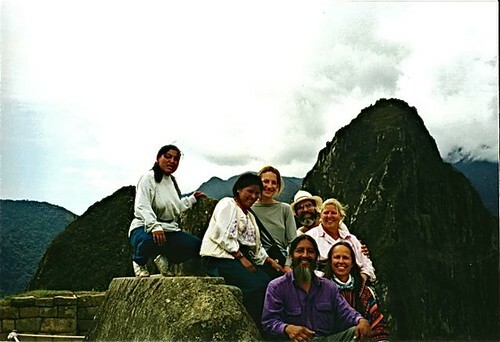 Here is Candace with our daughter, Francesca, a Taita Yatchak and friends at Machu Pichu. So Ecuador shamans know about wetness and the dark side of weather we know as spring. The dark side to this time of rapid growth is an upswing in suicides. Lifestyles in each place require different foods, spices and oils. Despite popular myths that suicides are highest in the winter, particularly around the holidays, statistics show that suicides are highest in Spring. “In one study of suicide in 28 countries, suicide deaths were lowest in winter and highest in spring. They reached a peak in May in the Northern Hemisphere. Spring depression is not such a problem in Ecuador because there is little seasonal change. Here I am with Ma in the dead of winter! Yet there are rainy seasons and there are places where is is continually damp and spring like. Extra depression in spring or continually damp places is not surprising. Ancient disciplines of health view good health as a balance between three physical elements “air and motion”, “material and physical” and “digestion and fire”…air, water and fire. These disciplines also view the seasons as an important factor in this air, water and fire balance. Winter is dry and brittle and aggravates air. Summer is hot and increases fire. Spring is wet and increases depression. 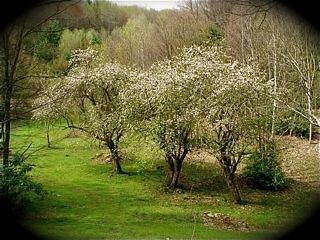 Our farm is beautiful in spring….but wet! Too much water creates depression. Fortunately the wisdom of the ancients also tells us what to do to maintain balance in the face of seasonal change. Here are three balancing tips for spring. Tip #1: Categorize foods into six categories, sweet, salt, bitter, astringent, sour and pungent. Each category either pacifies or aggravates an element. For example sour and pungent aggravates fire (the digestive element) which is sensitive to heat. Sweet and bitter on the other hand pacify air. So during the depressive days of spring take additional care to live and eat in a way that stops a buildup of water. Pungent and astringent flavors help resist water imbalances. Tip #3: Use water reducing essential oils such as lemon oil. This was written by Migiwa Komiyaa, and Takashi Takeuchib, graduates of the School of Veterinary Science at Yamaguchi University in Japan. In short, one’s mood may be improved simply by using lemon oil. In Aromatherapy it is well-known for its antiseptic, anti-rheumatic, anti-gout, and anti-arthritic qualities. It serves as a tonic for the nervous system, promotes a healthy immune system, and simply lifts the spirit with its cheerful aroma which can also help with depression. 10 ml (1/3 oz) is $11.95. You can order this lemon oil from Candace here. Until next message, may your spring be successful and bright.